MELBOURNE July 2018…To celebrate Melbourne’s burgeoning arts scene, Sofitel Melbourne On Collins are hosting the most contemporary ‘So Cultured’ accommodation package for a limited-time only. 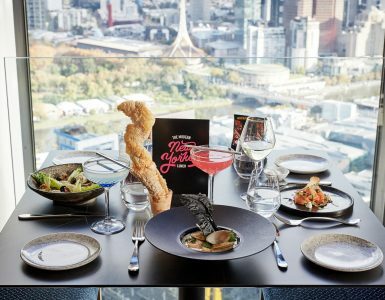 Including fast-tracked tickets to the hottest Melbourne theatre performances and exhibitions in Melbourne, the staycation also includes a bottomless brunch at award-winning No35 Restaurant, pre-dinner wine and hors d’oeuvres at the ambient Club Sofitel, and a custom designed T-Shirt. Guests can expect in-demand tickets to performances at the theatre, or tickets to NGV’s internationally exclusive exhibition in partnership with New York’s Modern Museum of the Arts—‘MoMA at NGV: 130 Years of Modern and Contemporary Art’. 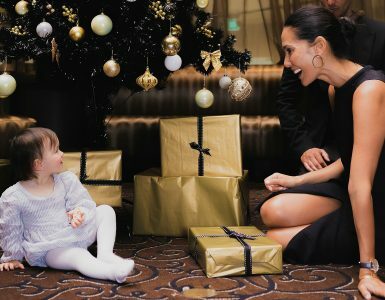 Renowned Australian fashion designer and the newest Sofitel Melbourne Brand Ambassador, Lindy Klim, was the first to experience Sofitel’s ‘So Cultured’ accommodation package with her husband and quips that they “may name the room after her”. She stays on the hotel’s top floor, level 50, every time she visits Melbourne (which is quite often). It’s a solid choice too, since Sofitel Melbourne On Collins was recently named the ‘Best Australian Hotel’ as voted by readers of Luxury Travel Magazine – 2018 Gold List awards. As the true ‘Hotel of the Arts’, guests are gifted illustrated, custom-designed tees by Melbourne-based artist Sarah Darby. Featuring the iconic buildings of Paris and Melbourne, the Parisian shirts represent Sofitel’s French heritage blended with the vibrant culture of Melbourne. 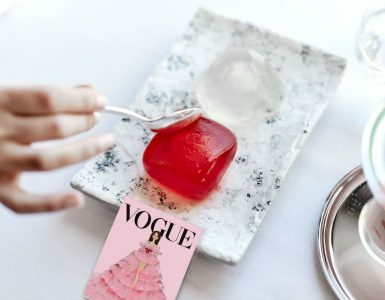 Following their arrival experience, guests can enjoy all-day tea, coffee and pastries as well as pre-dinner drinks and hors d’oeuvres, 35 floors from ground level in the exclusive Club Sofitel, which features panoramic backdrop of Melbourne’s city skyline. As part of the accommodation packages, guests are invited to a breakfast buffet in the award winning No35 Restaurant with treats including DIY Belgium-style waffles and crepes, homemade pancakes and a range of classic brunch options. Guests can sip on a cleansing, fresh juice while deliberating whether to stay on another night exploring Melbourne’s famous laneways, galleries and art scene. The ‘So Cultured’ accommodation package price starts from $640 per night in a Luxury King room with Club Sofitel access for one person or for two people from $715 per night. To book, call: 03 9653 7744 or email H1902 @sofitel.com. The package is not available to book online.